The DePaul University MPH Program is designed to build the knowledge and skills of students to excel in community health practice. In addition to the concrete grounding in graduate public health study, the program is further informed by a commitment to critical public health engagement at every level of instruction. 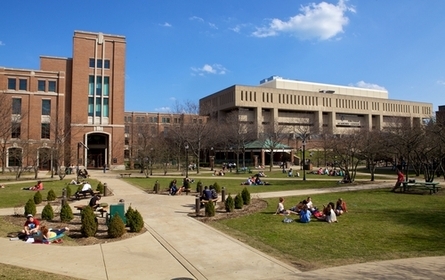 The DePaul MPH Program offers students the unique opportunity to learn and practice simultaneously, by engaging in a year-long practicum in a community health setting and systematically examining this experience through the lens of academic public health research in the classroom while preparing an integrated capstone product. Community health experts are regularly involved in classroom instruction as well, bringing “real life” into the classroom environment. In recognition of the needs of working students in Chicago, the program offers the only evening-based instruction program in Chicago. DePaul University is committed to honoring, promoting and serving the diversity of Chicago, its own community and human life everywhere.